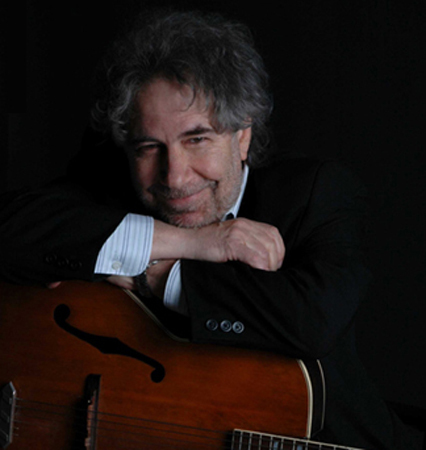 Musician/composer and BMI songwriter, Rick Hirsch's roots are imbedded in the antebellum South, Georgia and Alabama to be specific. It was there, on the Gulf Coast, that he grew up in the land of Drivin' Miss Daisy and down the path from Forrest Gump, as a yung'un always falling asleep at night with guitar in hand. After graduating from the U. of Alabama with his degree in Biology/Chemistry, he did the obvious and began to play guitar professionally around the South. And quite soon in 1969, he helped found the Seventies rock and roll band eventually known as WET WILLIE, a group on the Capricorn label sharing the roster with several other bands including the Allman Brothers (the original ones). Wet Willie enjoyed some nice successes during the band's tenure on Capricorn, eg. a Billboard Magazine top 5 hit, Keep On Smilin' and a dozen or so albums. By 1976 though, "thrill turned to chill", or was at least put on the back burner, and Rick had an opportunity to record and tour with Cher and Gregg Allman, who were preparing to do their duo album, Allman and Woman. He did so and subsequently moved to Los Angeles in 1977, where he resides today. He has worked with numerous acts as a guitarist and is a published songwriter, having had his songs and music performed and recorded by various artists as well as being featured in film and television. Today, he perseveres in the capricious world of music. 1969: Nucleus of what eventually becomes the WET WILLIE BAND is formed in MOBILE, AL.As guitarist for Wet Willie, R.H. was also one of the main contributing writers penning such tunes as Country Side of Life, Everything That 'Cha Do, Lucy Was in Trouble, and co-writing Keep On Smiling, Dixie Rock, and many others. 1977-1978: R.H. is offered work in good ole down home HOLLYWOOD, CA. (best to be careful about what one wishes for in this world!) He heads 'um up and moves 'um out in a U-Haul van....to begin the next phase of his musical journey. Watches the green, green grass of the South and, some say, much of his drawl, vanish in the rear view mirror. He arrives in Lost Angeles, and for the next year or so REALLY learns about life in the music biz.....whew! He recorded and toured with Cher and, then spouse, Gregg Allman until their split. During this period he also recorded for a number of other acts including Randy Newman, and had an opportunity to work with a number of landmark producers, among them Lenny Waronker, Russ Titleman, Glenn Johns, Henry Lewy, and the brilliant Tom Dowd. (Tom, incidentally, produced two of Wet Willie's albums, including the hit, Keep On Smilin'.) And in mid-1978, he began working with Bonnie Bramlett, singer extrordinaire and formerly with Bonnie and Delaney. Incidentally, it isBekka Bramlett, Bonnie's daughter, you hear in a later version of Fleetwood Mac. Check her out and tell me about DNA! 1979: R.H. is offered the guitar chair inJoan Armatrading's touring band. To this day, he regards this as one of his more rewarding musical experiences in the context of the pop band ensemble. They end up recording three albums and doing two World tours. 1982-present: Ricky decides he has seen enough of the world via the tour bus and focuses once again on staying in one place (and one piece) and pursuing his own music. Thus evolved what is now his personal studio and production company, IN SYNC MUSIC PRODUCTION, where he composes and records for various projects. His TV credits include NBC Sports, the Leeza Gibbons Show, ABC Sports, ESPN, and CNBC among others. Having been the guitarist with the house band on the ill-fated Rick Dees late night talk show, Into the Night (ABC), he played guitar behind dozens of musical guests who appeared. He is also still active as a song writer, and artists who have recorded his songs include Alabama, Tina Turner, Cher, and Bonnie Raitt. He plays in the L.A. area monthly with singer-songwriter and R&B maven, Billy Vera and his group, the BEATERS......seeBilly Vera's Homepage for gig dates. NO REGRETS is a compilation of nine compositions for guitar. Produced, arranged, programmed and performed by Rick Hirsch, some of these tunes are adaptations of music used in conjunction with projects produced at In Sync Music. If you are interested in obtaining a copy of NO REGRETS, click the cover above. 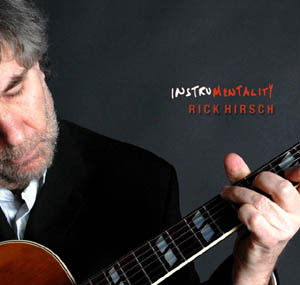 Hear some clips from Rick Hirsch's brand new cd, INSTRUMENTALITY on myspace . Please use the return when typing in a message to stay in the page frame. Thanks!